The overall condition of the vessel is good. Hull is in good condition. Per the Seller: Engines run smoothly and are ready to go. Upholstery is in average condition. Canvas needs to be replaced soon. The cabin area is in good condition. Stock #123527 32 Pachanga with dual, low hours 454 Magnum Mercruisers! Fresh water only! New cushions! 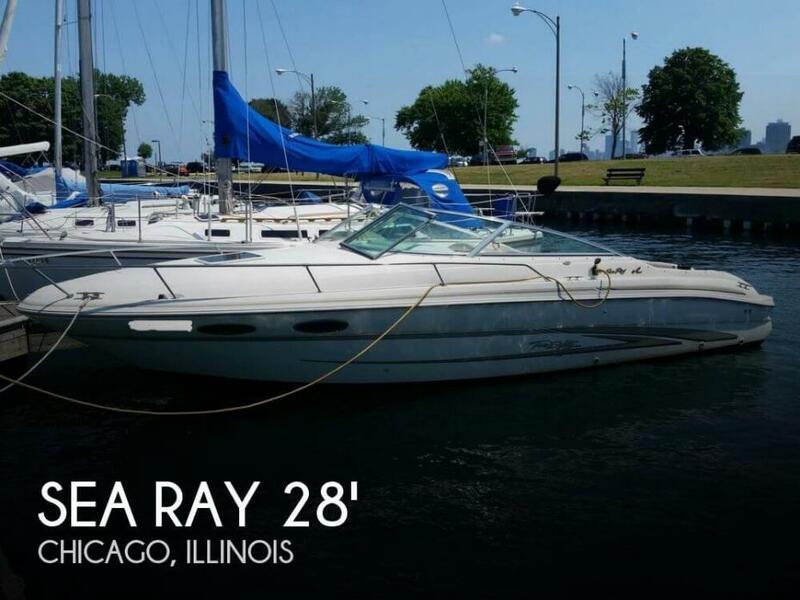 If you are in the market for a high performance boat, look no further than this 1987 Sea Ray Pachanga 32, priced right at $17,500 (offers encouraged). 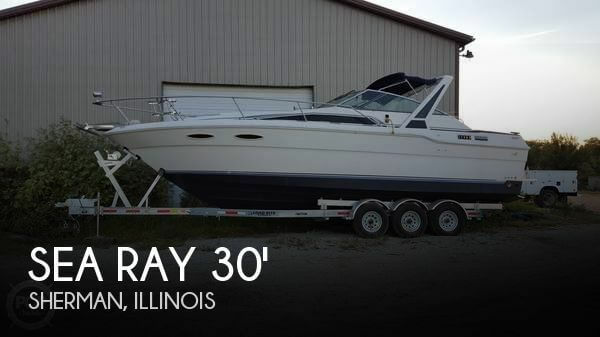 This boat is located in Blue Island, Illinois and is in great condition. She is also equipped with twin Mercruiser engines that have 700 hours. Reason for selling is owner is retiring!. 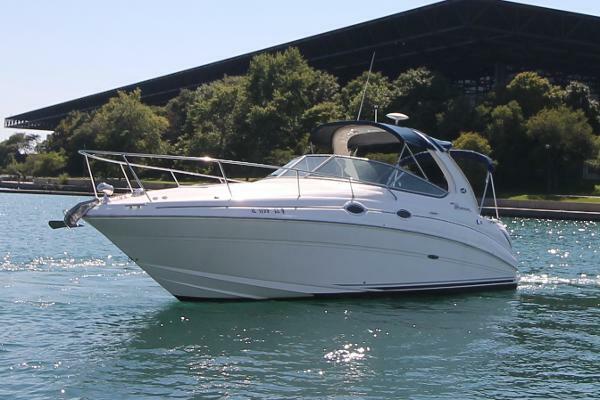 The 1997 Sea Ray 280 Sun Sport is in better than average condition for her age. This boat has a very roomy cockpit. Killer stereo with sub woofer. Hull sides are in good shape. Upholstery is good condition. Comes with a full barely used camper top. Only a three owner boat! Stock #109481 Motivated Owner! Bring Offers! This Sea Ray Has new bottom paint. Engines and Drives were just serviced and has 3 new batteries, it's ready to go!! 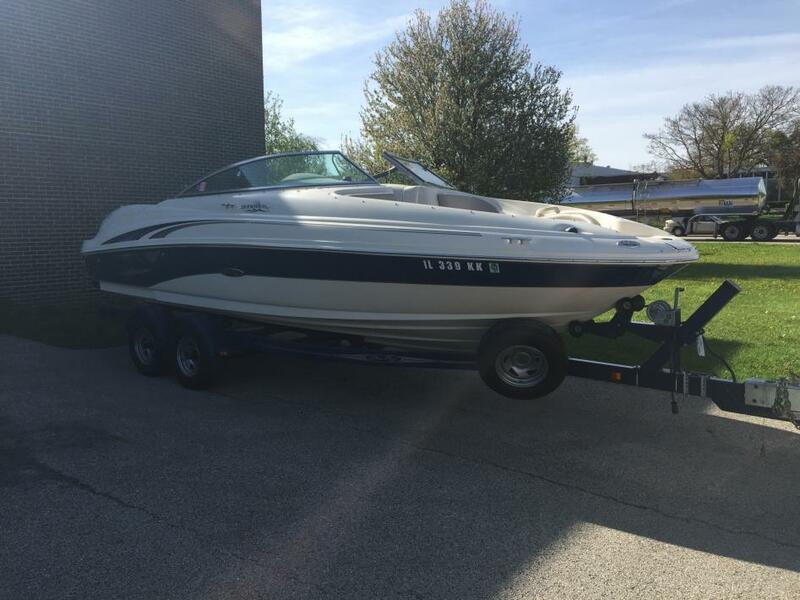 If you are in the market for an express cruiser, look no further than this 1997 Sea Ray 280 Sunsport, just reduced to $20,000 (offers encouraged). 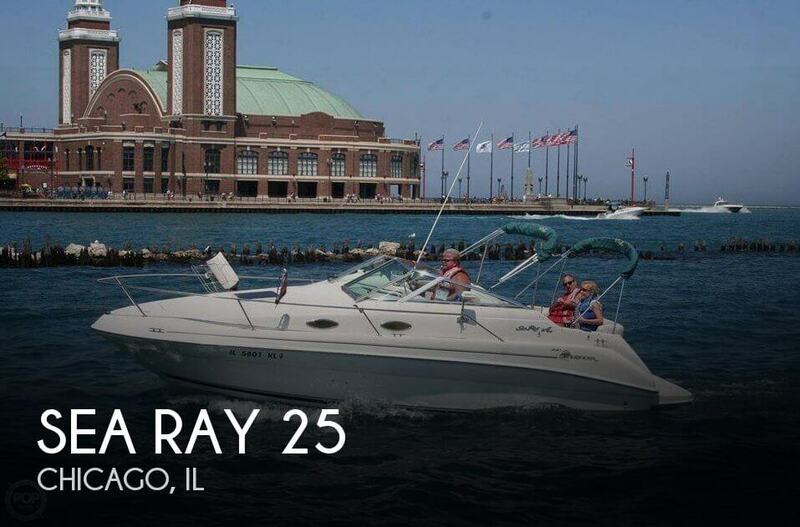 This boat is located in Chicago, Illinois and is in great condition. She is also equipped with twin Mercruiser engines that have 750 hours. Reason for selling is owner wants a full-time fishing boat!. Stock #165672 280 SunDancer powered by twin, 5.0L mercruisers I/O with only 300 hours! If you are in the market for an express cruiser, look no further than this 2004 Sea Ray 28, priced right at $64,500 (offers encouraged). This boat is located in Chicago, Illinois. She is also equipped with twin Mercruiser engines that have 300 hours. As stated by the owner, the vessel is in good condition and has been babied from day one! Stored inside during the off-season and spotless during the season, this vessel is an excellent example of the condition for a 2004 Model. Stock #147804 Excellent 340 Sundancer! 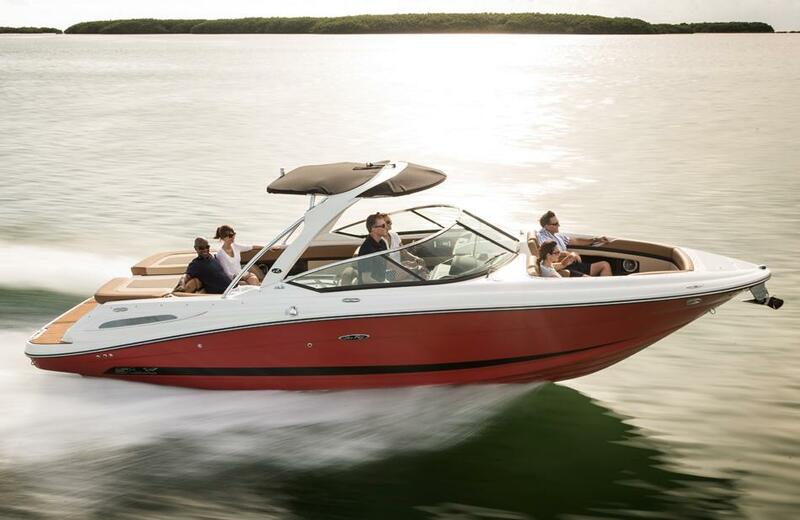 Twin 375HP 8.1S Mercruisers! 2017 JL Audio Twin 1000Watt Amps-Wet Sounds Speakers! Meticulously Maintained-Heated Stored! If you are in the market for an express cruiser, look no further than this 2004 Sea Ray 340 Sundancer, priced right at $127,800 (offers encouraged). 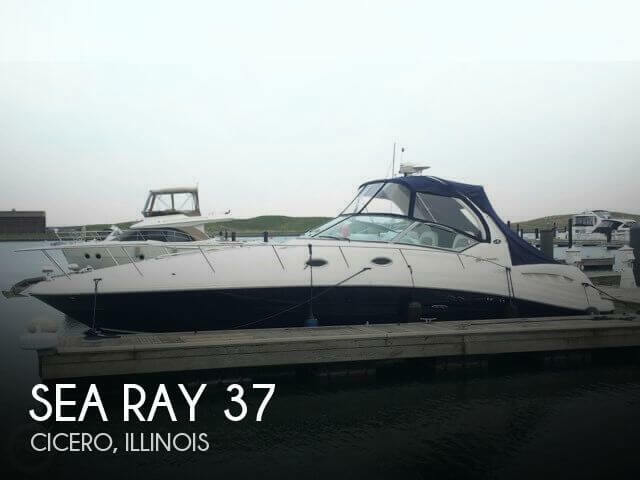 This vessel is located in Cicero, Illinois and is in great condition. She is also equipped with twin Mercruiser engines that have 775 hours. Reason for selling is owner is getting a newer model!. She has been very well maintained annually. This beautiful fresh water Sea Ray Sundancer 260 has a ton of power with the 5.0 EFI Mercruiser and has been perfectly maintained. She has been in pure Michigan fresh water and very well taken care of and you can tell. The new owner will love her! Seller maintained well and everything is working. However it's a used boat and has some cosmetic deficiencies and priced accordingly. Stock #094283 NICE LAYOUT! HUGE SWIM PLATFORM! NICE CABIN! 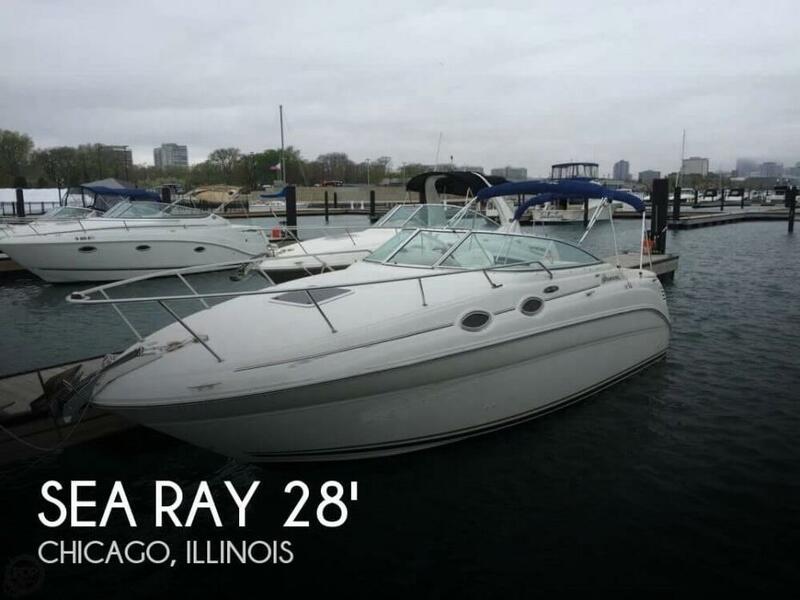 If you are in the market for an express cruiser, look no further than this 2002 Sea Ray 260 Sundancer, just reduced to $16,000 (offers encouraged). 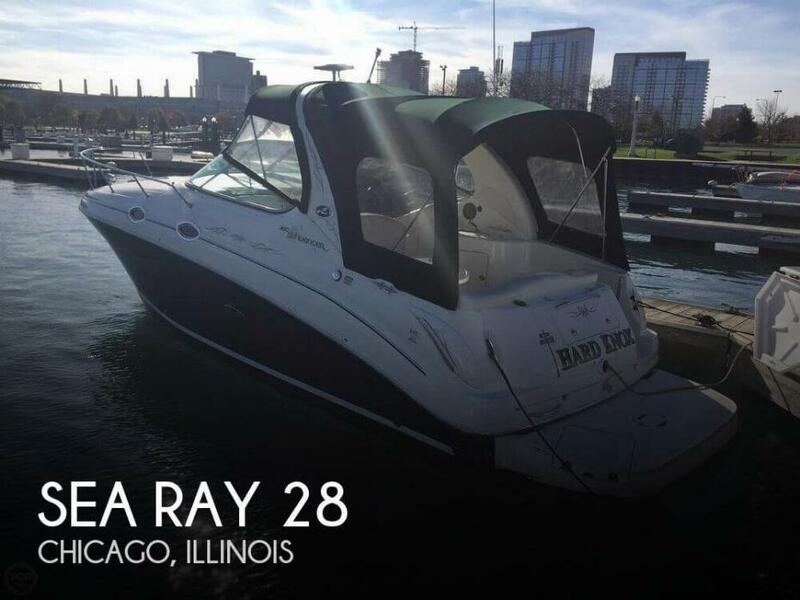 This boat is located in Chicago, Illinois and is in good condition. She is also equipped with a Mercruiser engine that has 2,010 hours. Reason for selling is wants a different boat. According to the owner, this vessel has been properly maintained and receives regular service work when required, as well as the proper seasonal fluid changes and safety checks . Interior upholstery received a nice updating in recent years. Stock #133438 Very clean 240 Sundancer always professionally maintained - new interior, batteries, camper top & underwater lights! If you are in the market for an express cruiser, look no further than this 1998 Sea Ray 240 Sundancer, priced right at $15,500 (offers encouraged). 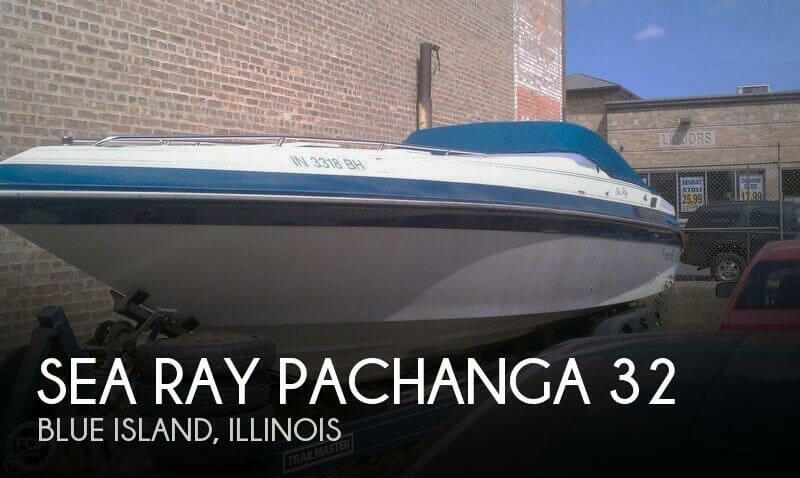 This boat is located in Chicago, Illinois and is in great condition. She is also equipped with a Mercruiser engine. Reason for selling is larger boat. Boat has been stored indoors and lovingly cared for and it shows! This POP broker is currently working with the owner of this vessel to up date this listing. Check back often for more pictures, equipment inventory and extras. Along with boat owner history and maintenance records. Feel free to request specific information and call your broker NOW to push your interests forward. Stock #029962 Well maintained freshwater cruiser! 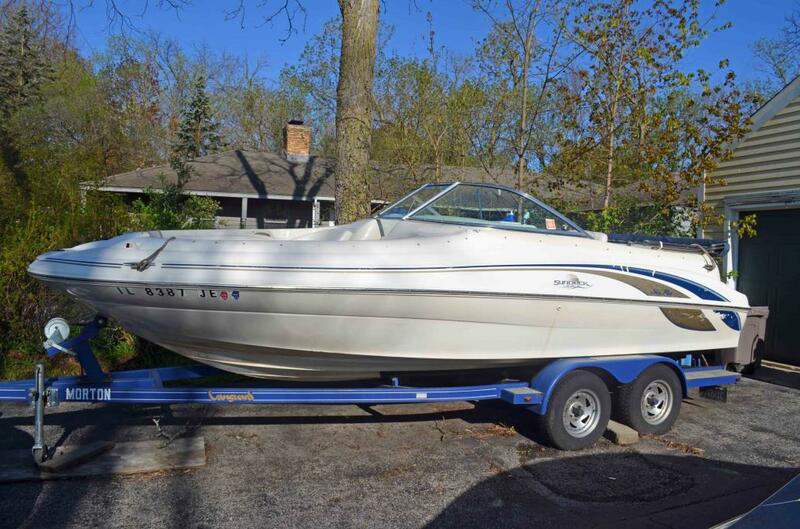 Motivated seller - BRING all Offers If you are in the market for an express cruiser, look no further than this 1992 Sea Ray 270 Weekender, just reduced to $19,450 (offers encouraged). 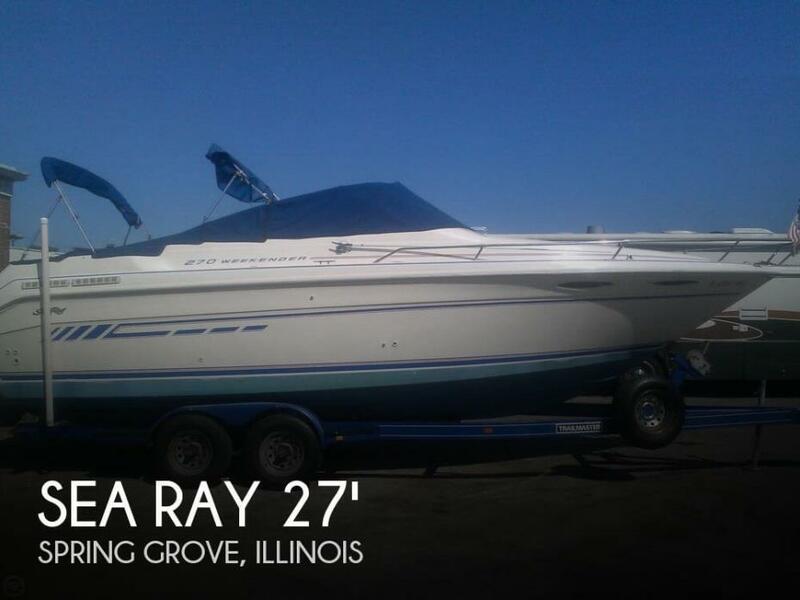 This boat is located in Spring Grove, Illinois and is in good condition. She is also equipped with a Mercruiser engine that has 600 hours. Reason for selling is no more time for boating. 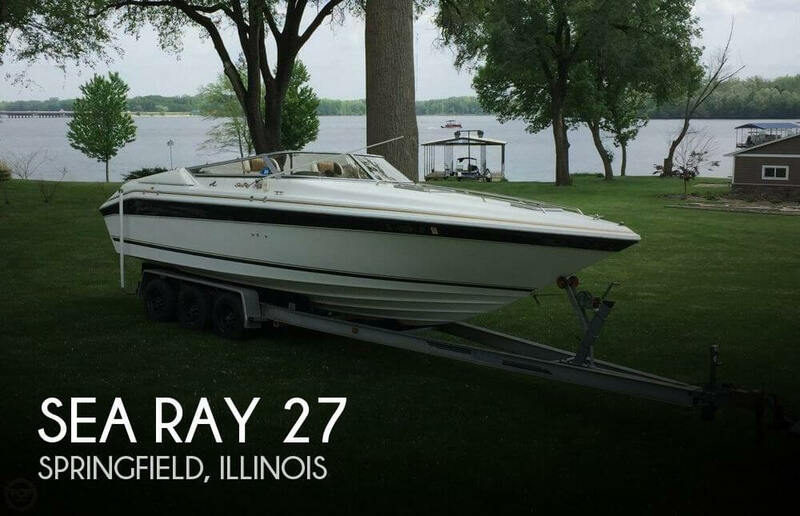 1999 Sea Ray SunDeck Excellent running condition. New aluminum prop. Boat runs well but needs cosmetic fixing. Tongue on trailer bent. Hinges on storage door and anchor door need reattachment to fiberglass. Tear in seat. Bimini top needs to be replaced - snaps OK but shrunk in the front so one snap cannot snap. Located on IL/WI border. Great deal if you know someone who can work on fiberglass to reattach the hinges on the storage and achor doors (the holes are stripped). Priced to sell! 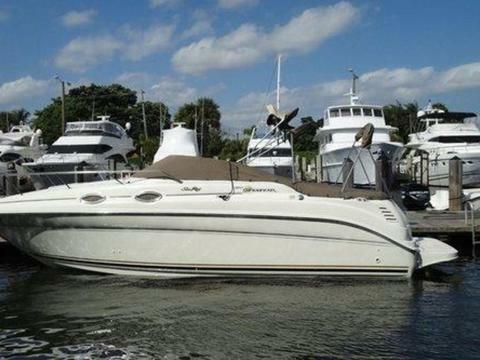 2008 Sea Ray 280 Sundancer Weber Yachts is pleased to bring you this very clean Sea Ray 280. She has a well- appointed interior with cherry cabinetry and posh decor. Cockpit has wet bar with built-in cooler, portside lounger, fold-down sun pad. Sporty helm layout includes flip-up seat, wood- grain dash, tilt wheel. Note extended swim platform, sport arch with overhead lighting. 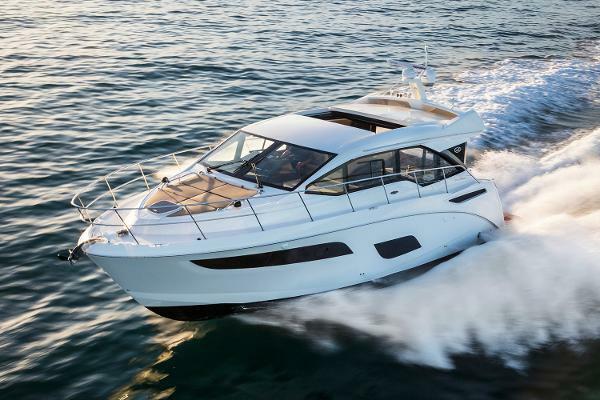 She is powered by twin Mercruiser Inboard/Outboards with only 310 hours. This boat is a must see!